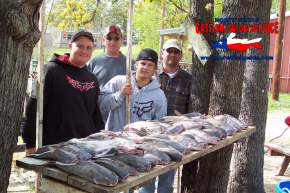 Water temperatures are cooling and there’s more cold weather on the way this week which will continue to drop water temps and the fishing for blue catfish will continue to improve. 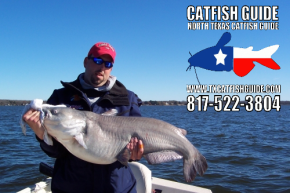 We’ve had a lot of rain recently and the lake is almost full as well which is great for fall and winter catfishing. 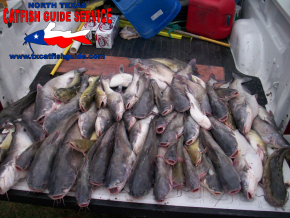 We’ll remain in the Fort Worth area for our guided catfish trips this Fall and Winter and will be fishing at Eagle Mountain Lake and occasionally Lake Worth. 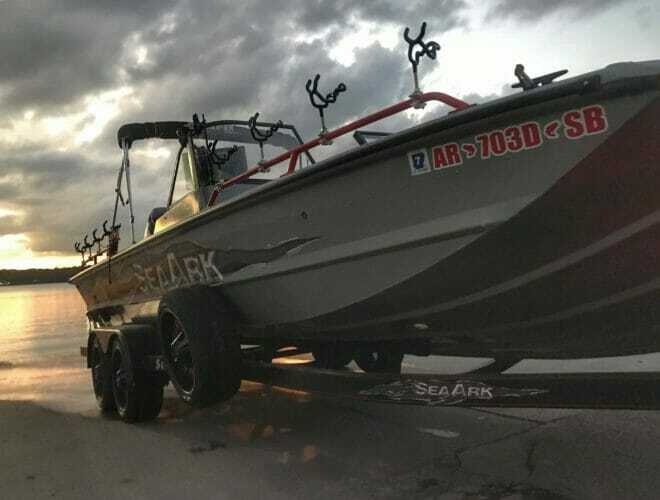 Our new 2019 SeaArk ProCat 240 is rigged and ready to rock outfitted with a Humminbird Solix 15 and Minn Kota Ulterra you won’t find a nicer catfish guide boat in the area. 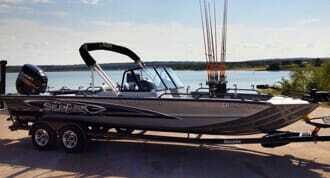 We’ve also added a full cabin enclosure to our boat for Winter 2019 so clients will be nice and warm on the coldest days. 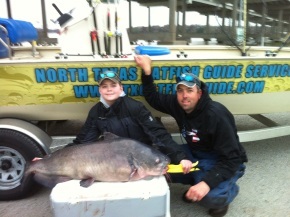 Now is the time to get your guided fishing trips booked for catching the big boys.